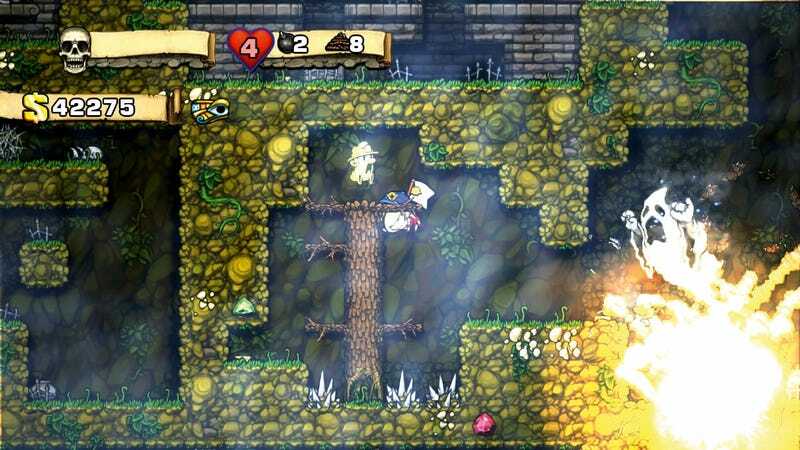 A big component of Spelunky's appeal and challenge is its procedurally generated levels, assuring you don't play the same board twice. Some diehards, however, have developed a tool (for the PC's HD version) that forces the game to generate the same level on replays. It's called Seedlunky and it cannot be used to hack the game's Daily Challenges. It appeared in the forums on mossmouth.com at the beginning of the month and has been updated several times since. What's the use? Well, one application would be friends sharing a custom seed so they can run the same levels and judge their times. Obviously, this opens the utility to the charge that it can be used for fakery, as the essence of a great Spelunky speedrun is the skill of the player in coping with all the randomness thrown at him. Seedlunky at one point overlaid a watermark, but it was removed because of a bug and other conflicts. "The only people who have any credibility breaking Spelunky WRs stream for hours a day on Twitch," the author reasons. "If some random posts a video to YouTube breaking a WR nobody would believe him anyway."